As humans spread into coyote habitats with their pets more and more, the odds of encounters between dogs and coyotes skyrocket. 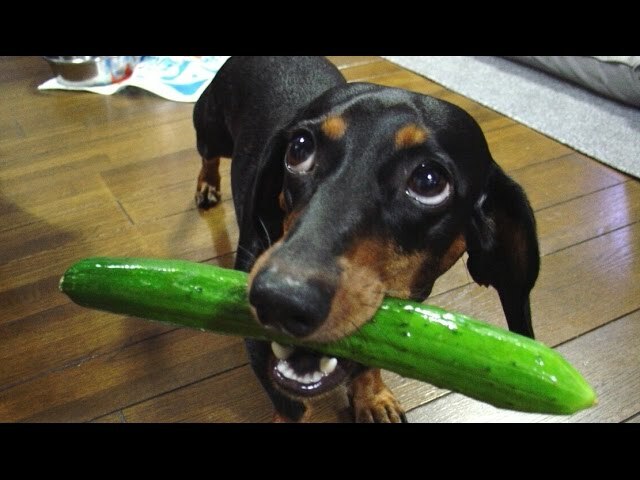 These encounters can be deadly, especially for small dogs that make for easy prey. Humans are good sources of garbage and food, which can attract coyotes, too. February is mating season, and from April to August, coyotes begin to have their puppies. They hunt more actively to provide for their young, as well as becoming more defensive of their territory. Attacks may be more likely during this time, but in winter, when resources are scare, coyotes can also be desperate for food and move into human domains, which can cause more incidents with dogs. It is important to stay vigilant all year long and protect your dog from coyote attacks. Here are eight ways that you can reduce the risk of coyote attacks on your dog and protect your pup if you happen to see a coyote. A fence does not provide complete protection from coyote attacks, as these animals can dig or climb if they need to, but it will greatly reduce the risk of a coyote encounter. If you have a yard, make sure it has a durable fence that can reasonably block the view of your dog from the outside. An invisible fence is not a good choice for many reasons, and one of these reasons is that it allows coyotes to enter your property while your dog has no way of escaping. Chain link fences will allow coyotes to see your dog and further provoke them into attacking. A solid, high fence can provide a necessary barrier and prevent most–though not all–attacks. Even with a fence, it is important that you supervise your dog’s activity while they are out in your yard, especially at night when coyotes are more likely to be active. As mentioned earlier, a desperate coyote will climb or dig if they need to. Keeping an eye on your dog when they are outside will let you be ready to help them at the sign of any danger. A coyote will likely be more afraid of you than they are of your dog. Coyotes tend to steer clear of bright lights. 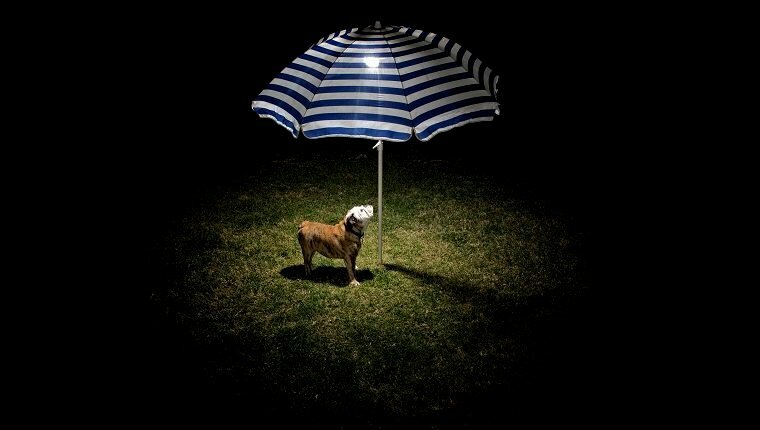 Get a motion detector light for your yard, or have a light that you can turn on while your dog is out. Having a flashlight handy will also be helpful, as you can use it to scare off any coyotes that approach. This is especially necessary for nighttime walks. Don’t leave home without one. Even a small keychain light is better than nothing. Your dog may prefer to eat outside, but it is not a good idea to leave food out, or empty bowls that smell like food. Additionally, all garbage bins should be properly sealed so as not to attract wildlife. Coyotes will scavenge when they are hungry, and human garbage cans are excellent sources of food. You may enjoy having birds on your property and leave a bird feeder out, but just be aware that coyotes do hunt birds, and this may increase your risk of a coyote encounter. Coyotes tend to hide in underbrush and bushes, so if you have these on your property, make sure they are maintained and do not provide coyotes with a place to lie in wait. If you are out walking your dog, stick to cleared trails and paths, and do not wander. 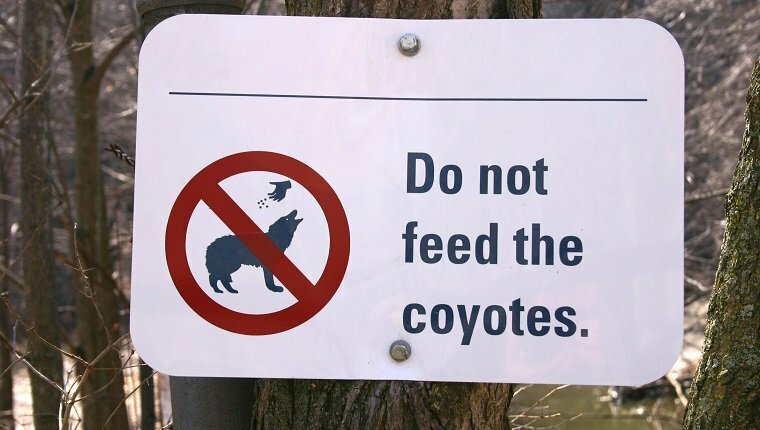 Even if you don’t encounter a hungry coyote, you may accidentally enter their territory and be perceived as a threat. No matter how well-behaved your dog is, you have to be able to keep them under control if there is an emergency, and a coyote encounter can quickly become an emergency. 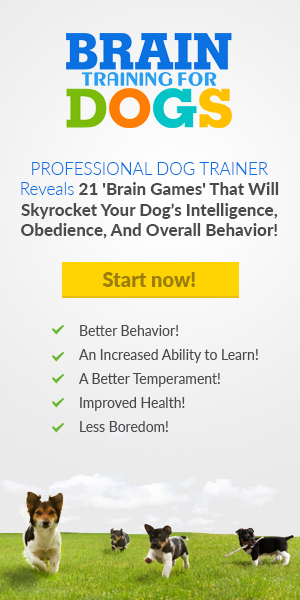 You can’t know how your dog will react to a confrontation, and you need to have a way to restrain them and pull them to safety. Do not rely on a retractable leash, as these can easily break and will not allow you to maintain the control you need to reel in your dog quickly. 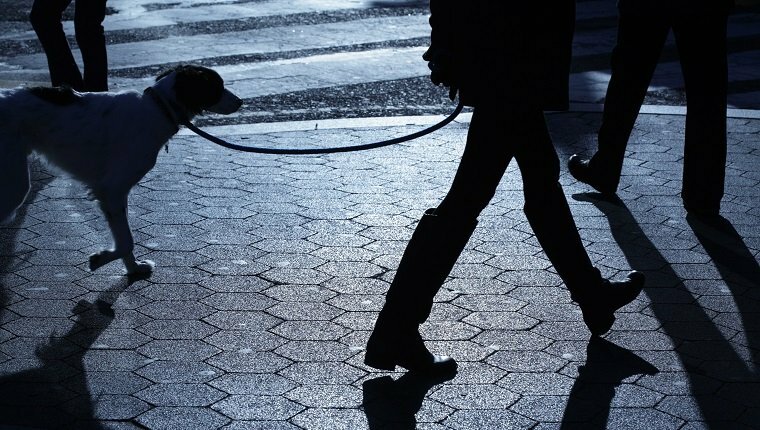 Use a sturdy leash that is short enough to keep your dog reasonably close to you. If you do encounter a coyote, try everything you can to intimidate them. Stay calm, make yourself as big as possible, and yell. Coyotes usually will not attack if you are a serious threat. 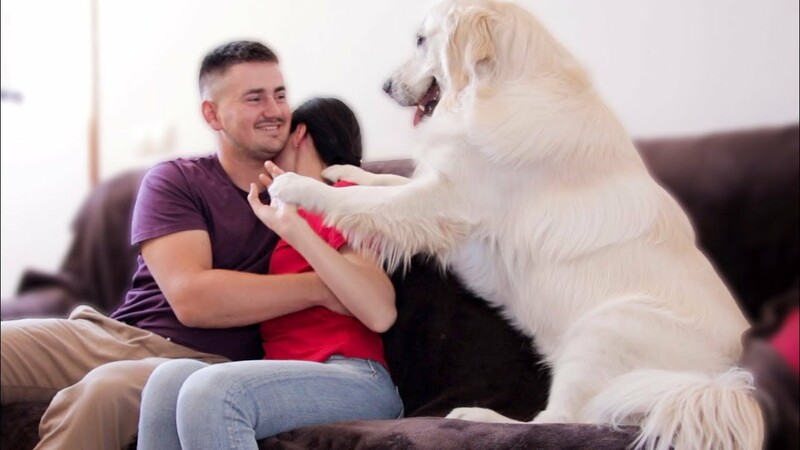 Back away slowly and pick up your dog if you are able to. Use your flashlight if you can to scare the coyote away. 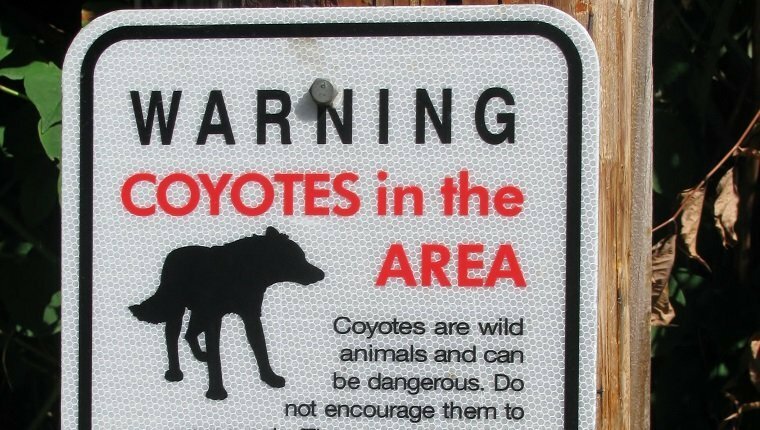 You’ll want to leave their territory as soon as possible, especially if their young are nearby, but do not run, as this can provoke the coyote to attack. 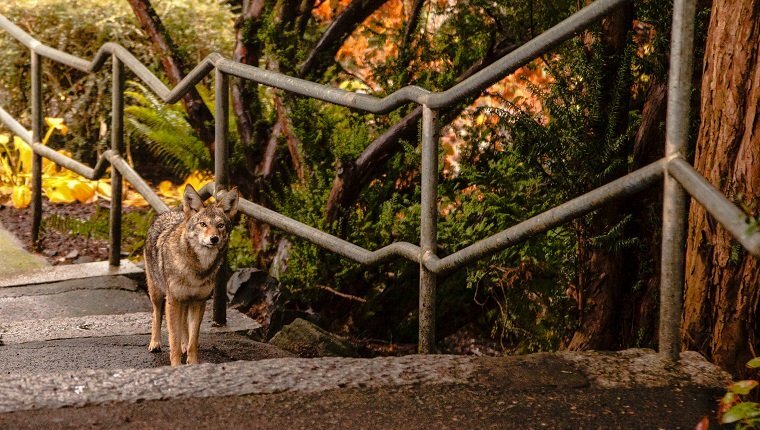 Reporting coyote sightings can help you and your neighbors stay alert and cautious, as well as providing animal control with information that can help them capture and relocate coyotes that may be a danger to humans and pets. Be responsible and encourage others in your community to do so, as well. What other tips do you have for protecting dogs from coyote attacks? Have you ever encountered a coyote with your dog? Let us know in the comments below!